Klerksdorp Cleaning Specialists, as a member of The Specialists Group, is an industry leader in providing environmentally safe, reliable and superior services. These services are in place in order to protect our customer’s health, food and property. By adhering to the highest standards of professionalism and performance we are committed to total customer satisfaction.  In keeping with our company mission, we value honesty, integrity, training and education to ensure that we remain a contributing member to our community and our industry. We strive to continuously produce the safest, most efficient technologies through innovation and ingenuity. 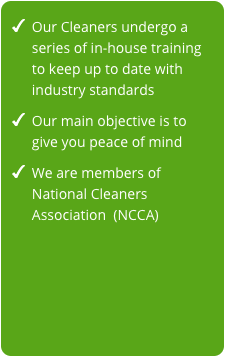 With an amazing and thorough team of cleaners and we ensure great service with a smile. At the end of the day, we want our clients – both domestic and commercial – to be 100% satisfied with the services that we offer. 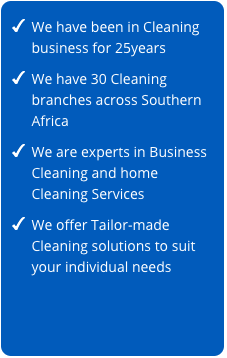 It is our aim to bring fast, efficient and satisfactory cleaning services to all those residing or working in the Klerksdorp area. 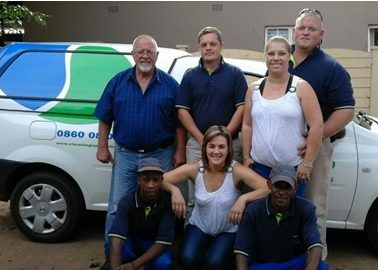 Klerksdorp Cleaning Specialists is just one of these franchises that aim to dominate the cleaning industry. Cleaning Specialists in Klerksdorp are an industry leader in providing environmentally safe, reliable and superior services in order to protect our customer’s health, food and property. Trusted and Recommended since 1991.